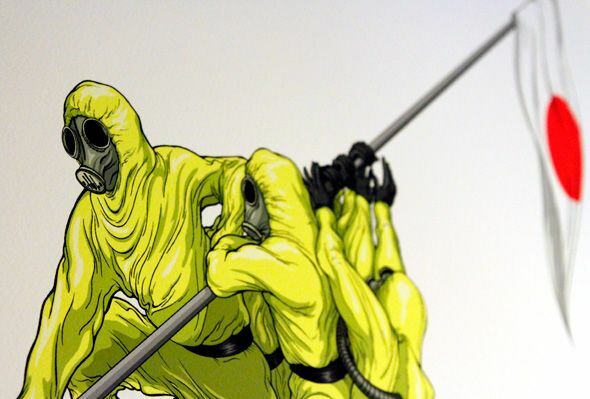 ALEX PARDEE'S LAND OF CONFUSION: "HEROES" Fukushima Charity Print Now Available. I can only wish I was so brave. I have been following the reports of the massive destruction and progress in maintaining and rebuilding the areas of Japan that were affected, at first, by the Tsunami and then secondly, by the radiation leakage from the Fukushima Power Plant. Had the emloyees of Fukushima ran away screaming and hiding, the plant would have completely broken down, risking a devastating amount of radiation into the surrounding areas, and possibly further. But they didn't. They stayed and fought. And they continue to fight. THIS ARTICLE that really hit me. When asked why he risked his life to continue working and helping at Fukushima, Hiroyuki Kohno basically said "If I go, I will not return with the same healthy body. But I have no wife and no children, so I feel like it is my duty to fight." Almost immediately after reading that I had the urge to draw this image inspired by their bravery. 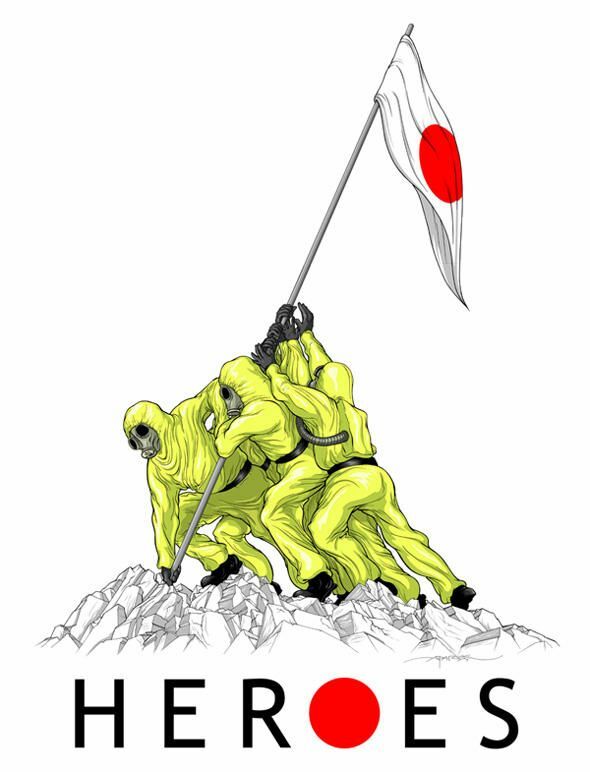 I have no idea how someone can be so brave, but I thank Kohno, and all of the other Fukushima workers for being, in the simplest term, HEROES. 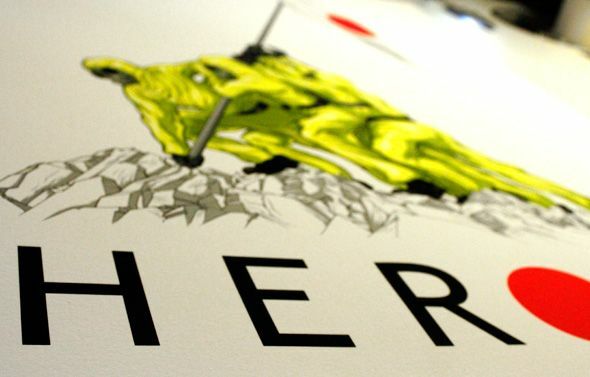 My "HEROES" Print is now on sale online at Zerofriends and is available in both LIMITED & smaller, unlimited editions. Here are the details of the print as well as the information about the charity we are donating proceeds too. devastating damage caused by the recent Tsunami.